Like hilarious real-life anecdotes? Like them even more when they are accompanied by illustrations? 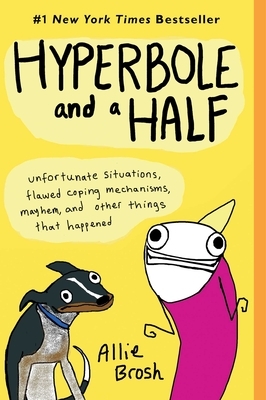 Pick up Hyperbole and a Half: Unfortunate Situations, Flawed Coping Mechanisms, Mayhem, and Other Things That Happened by Allie Brosh. Inspired by her popular web comic - which you will probably be familiar with if you follow internet memes - this book collects stories from Allie Brosh's life, ranging from things her inept dog has done (or, rather, is unable to do) to her personal experience with depression. Wikipedia accurately sums up Brosh's style as a combination of observational and absurdist humor. Brosh's reflections and admissions are like real life, but funnier -- and then you realize this IS her real life, and that makes it even funnier. Or sadder. Or both. Like the time her mother got lost in the woods with her two young daughters and tried to make a game out of it. Though I love the entire book, if pressed to select my favorite portions, I would have to say The God of Cake and Thoughts and Feelings. In the cake story, a very young Brosh tells us about the time she was determined to eat her grandfather's birthday cake. Nothing could stop her, no matter what her mother said and no matter where her mother put the cake. That section reminded me, in part, of Cookies from Frog and Toad by Arnold Lobel. In many passages, Brosh speaks quite frankly about her struggles with self-perception, motivation, and more. She considers what she knows she should do vs. she wants to do vs. what she actually does. There's her internal monologue, right there on the page, with crude (not naughty, but simple) drawings created in Paintbrush. Brosh finds both the humor and the agony in simple and complex situations, and I give her a hearty high-five for her willingness to share her pain and her delights with others. If you like Natalie Tran's communitychannel vlog or comedians or sitcoms that find the fun and the shame in everyday situations, then you should check out Allie Brosh's stories. This review was originally posted at Bildungsroman. Naeem used to be a good kid. He used to do his homework, get decent grades, and help out around the house and store, until he started to hang with the wrong people. Person really, Ibrahim. Ibrahim was a loner, a pathological liar, and willing to get his friend into trouble without a second thought. One day, it goes too far and Naeem gets into some real trouble. The police take advantage of the situation, a Bangladeshi boy in a spot of trouble without anyone to help him. Naeem doesn’t want to, but the cops make it sound like he is in so much trouble and they can make it all disappear if he will just let them know what is going on in his neighborhood. Which of his neighbors might be of interest to the police. Plus, they promise to pay him for his skills and the tidbits he can share! Nothing wrong with telling that right? As he gets into his job, Naeem starts to feel some pride in what he’s doing and the money he brings in really makes a difference to his family. Life starts to get better, his parents seem younger and more interested in new possibilities. But, as his police contacts start to push for more, he really starts to question if what he is doing – going from being watched to watching - is really the right thing to do. This is a very timely story. 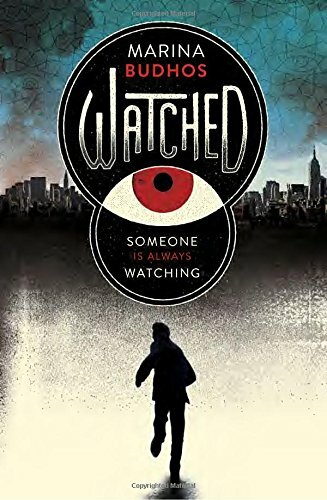 One never really knows who is watching as each and every one of us (though obviously some are watched more than others) move through our lives. 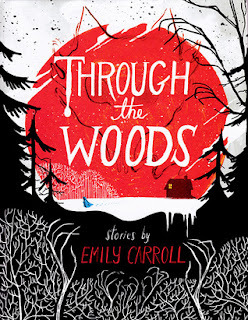 Five chilling tales of gothic horror are what await you in this beautiful graphic novel by Emily Carroll. The stories are claustrophobic, dark and mesmerising. Almost all of the stories revolve around young women being transformed in a traumatic, psychological way. It's a graphic novel you could read one hundred times and still find a little nugget of creepiness. Boys meets girl. Boy gets girl. The end. Right? Chris Heidicker's new novel Cure for the Common Universe is a novel take on relationships between kids who aren't exactly a-listers at their schools. Because you're never too old for a picture book. And because Star Trek just turned 50 last week. And because it's Leonard Nimoy. Today's review is of Fascinating: The Life of Leonard Nimoy, written by Richard Michelson and illustrated by Edel Rodriquez. Apart from Nimoy's autobiography, I Am Spock, this appears to be the only book biography of the acting legend, poet, photographer, and musician (so far). Richard Michelson, the author, is also a gallery owner in Massachusetts, who got to know Nimoy in real life when Nimoy displayed his work at the gallery. The book explores Nimoy's childhood as the son of Russian immigrants living in Boston. Nimoy's first big break was singing "God Bless America" at a local playhouse, when the manager needed someone to do it and remembered a kid singing the Shema (a Jewish statement of faith) at their synagogue. Young Leonard Nimoy was bit by the stage bug at that moment, and never let it go, despite being urged by his family to find something that was guaranteed to pay him an income. Like playing the accordion. Full of wit and wisdom - some from the author, some from characters in the book (including both Nimoy's grandfather and John F. Kennedy) - this book is about more than the life of Leonard Nimoy. It's about what it is to be part of an immigrant family in this country, a bit about what it is to be Jewish, a story about never giving up your dreams, about giving back, and - oh yeah - about the origin of Spock's hand gesture for "Live long and prosper". Kaden doesn't remember much about his dad. When the man went to prison years ago, Kaden ended up living with Gram. Although a bit different, life with Gram has been good. 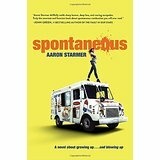 Now Kaden is starting sixth grade and hoping to find a new friend, but the return of his father might change everything. Living out in the woods in a series of five small cabins gives Kaden a lot of freedom. Gram keeps tabs on him and so does their neighbor Emmett, but Kaden spends most of his time hanging out at the top of an old fire tower with his pet crow Kubla. The new music teacher's son, Yo-Yo, turns out to be just the crazy friend Kaden needs to convince him that not all kids are annoying bullies. Gram even thinks Yo-Yo is ok, and she's pretty hard to please. When Kaden's dad shows up at the cabins, he brings with him secrets that threaten to tear apart the life Kaden has always known. He wants to trust the man and hopes that he has been rehabilitated, but the suspicious activity and hostile attitude that surround the ex-con make Kaden extremely uncomfortable. PROMISE by author Judy Young is at times heartwarming and also heart-wrenching. Kaden learns that families are not easy and dealing with disappointments requires a strong individual. Thank you to Sleeping Bear Press for providing a copy of this book for review.